I have to confess. I embrace a healthy diet, eat a banana every morning for the potassium, an avocado a day for the good fat, eat wild salmon for the omega fats, and nibble on raw almonds as a snack. I haven’t eaten red meat in decades, but when it comes to chocolate, all bets are off. I try to justify my desire for chocolate by eating only dark chocolate, and chocolate covered pomegranates, thinking it’s healthier. In reality, they’re filled with sugar and caffeine, and I’ve always wondered, is chocolate truly an aphrodisiac, or is it a myth? 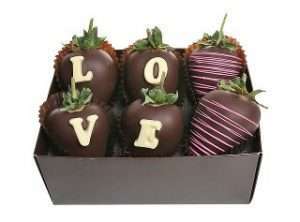 In honor of World Chocolate Day, held annually on July 5th, Elite Singles came up with some fun facts about this sugar-filled day, as it relates to romance, which might surprise you. Since many of you have bookshelves filled with romance novels or self-help relationship books, it’s not a random decision that bookstores with cafes have chocolate strategically placed near the romance sections. In 2007, researchers found that eating chocolate makes your heart beat faster than the already fast heartbeat you experience while kissing. The research took it further and found if you let the chocolate melt in their mouth, it’s more of an intense and longer lasting feeling than just when kissing. No wonder, ordering a flour-less chocolate cake or a chocolate-covered strawberry seems romantic at the end of a date. Famous philanderer Giacomo Casanova, the kind of guy you don’t want to date, loved sipping hot chocolate, even more than champagne. Could a chocolate martini be a better drink to order than a glass of prosecco? Casanova called chocolate the “elixir of love” and used it to woo women. But the reality is, you’d have to eat an enormous amount of sugar-filled chocolate for it to be noticeable, and we know that’s not healthy. A study in 2014 on the effects of snack foods and romantic thoughts of singles found that those who eat Oreos were more likely to think about a dreamy potential romantic scenario, as compared to those who ate salty chips. So if you’re wondering if chocolate is an aphrodisiac and will help your dating or love life, my best advice is to nibble it in moderation and take steps to manifest the perfect relationship for you. 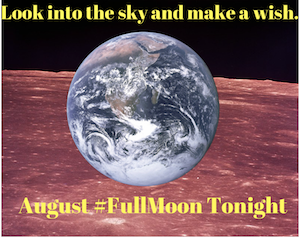 The August Full Sturgeon Moon will be visible tonight, August 18th. You’ll also be able to view it on Friday, August 19th. 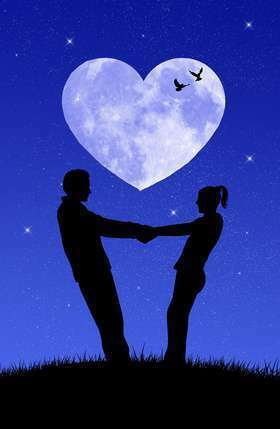 There’s nothing more romantic than watching the full moon with a date or your significant other. If you can’t be together, you can watch a live stream together and have a digital date. If you’re alone, no need to fret, look up at moon and make a wish. May all your dreams come true. Follow America’s Top online dating expert @JulieSpira on Twitter, Instagram, and Facebook. Sign up for the FREE Weekly flirt newsletter for dating advice. Need a little hand holding, find out our our Irresistible Profiles coaching packages will help you find your dream date. Our Quote of the Day comes from the inspirational Louise Hay. 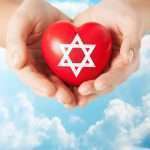 Never give up hope and keep logging in while looking for love online. 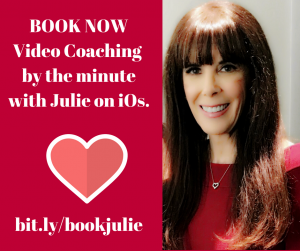 Follow Online Dating Expert and dating coach @JulieSpira on Twitter, Facebook, and Instagram and sign up for our Free Weekly Flirt for dating advice. When you love someone deeply, you pass through the bumps on the road without hitting the stop sign. Sign up for our free Weekly Flirt for online and mobile dating advice and follow @JulieSpira on Twitter and Facebook. I’ve always said, “The squeaky wheel gets the digital love deal.” There’s so much truth to that with online dating or mobile dating apps. There’s a fine line between being needy and sending too many emails, to checking in again with someone who didn’t respond a week or two later. You see, women get bombarded with emails and messages from guys. Guys know that, so they send a large quantity of messages or swipe right on just about everyone since it’s a numbers game. The way it works, is to be proactive with your love life. Don’t sit around and wait for Mr. or Ms. Right to appear and sweep you off your feet. Give someone a chance if they make the effort to try to get your attention. 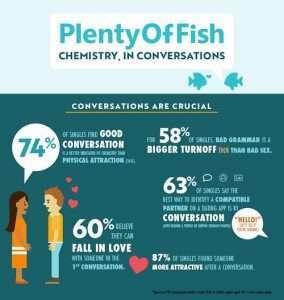 Even if there’s no chemistry with them, you might make a new friend or perhaps can introduce hi or her to someone you know who would be a better fit. Follow @Julie Spira on Twitter, Instagram, and Facebook. Sign up for our Free Weekly Flirt newsletter. Find out how our Irresistible Profiles Dating Coaching Programs will help YOU find love. On FOX 11 LA’s show, 2230, Julie Spira talks about how her book,”The Perils of Cyber-Dating: Confessions of a Hopeful Romantic Looking for Love Online” helped bring her long lost love back, after 16 years apart. Julie explained how writing this book helped heal her heart and those of millions of others. After over a decade and a half apart, Julie’s long lost love purchased her book, read about their romantic love story, and connected with her on Facebook for Act 3 of their love story. Watch part of the interview here. Julie re-released her bestseller “The Perils of Cyber-Dating: Confessions of a Hopeful Romantic Looking for Love Online” in 2016 with a new epilogue, complete with a magical fairy tale ending to help singles believe in love again, after the man who was the love of her life read the book and relived the memories he had not forgotten. Pick up your copy on Amazon Kindle and Audible. Follow @JulieSpira on Twitter and on Facebook for online dating advice.